Our cabins are an intimate place for couples looking to escape. Our cabins overlook farmscapes, vineyards and mountains and are surrounded by natural bush and wildlife. 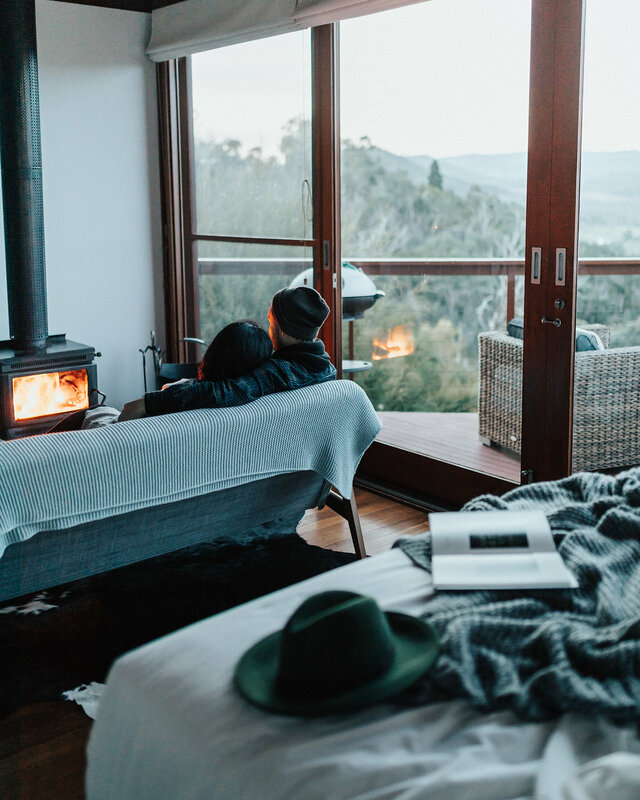 Our stunning and secluded cabins are nestled along a ridge, and look out onto the Healesville ranges. Every cabin has the best vantage points with direct views of Mt Riddell and Mt St Leonard. 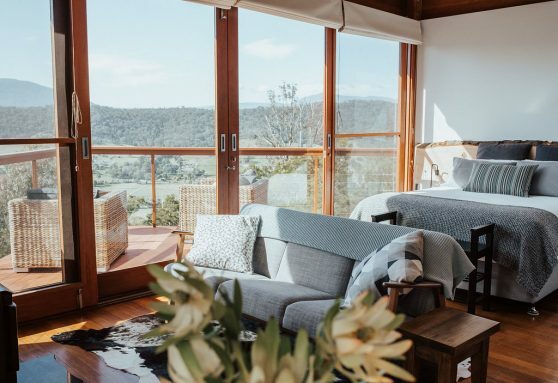 Styled with simple yet elegant furnishings, look out onto the valley in any season in comfort. Cabin size: open plan 40 sq.m. 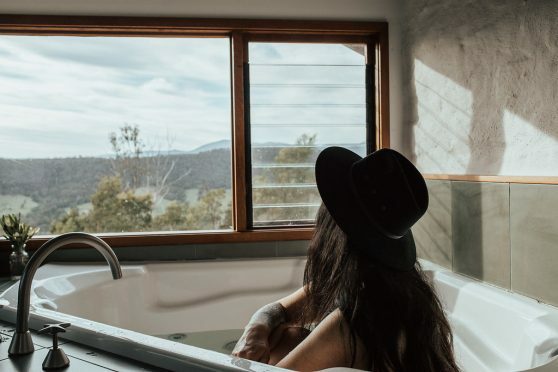 Located inside the cabin, looking out onto the mountains is a decadent spa bathtub. The pinnacle of The Ridge experience, it’s a magic never to be forgotten. Our cabin spas feature the YUMMYYOU range of bath and skin care products. We love them because their natural essential oils are not tested on animals and only plant derived ingredients are used. This also means they are safe to use in our environment. We provide the essential supplies of YUMMYYOU body wash, lotion and shampoo and conditioner. Indulge even further with some relaxing YUMMYYOU wine soap, bath oils and body scrubs as extra treats. Relax and unwind in crisp linens and bathrobes afterwards and while you stay.